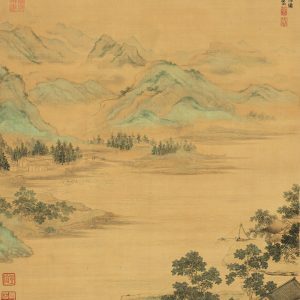 Shen Zhou completed this work in 1467 when he was 40. 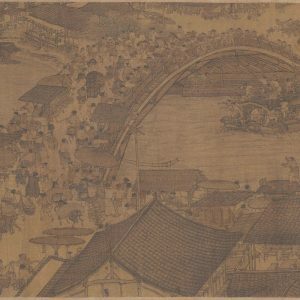 The brushwork resembles that of the Yuan painter Wang Meng (王蒙, 1308-1385), whose style Shen is said to have followed before the age of 40. 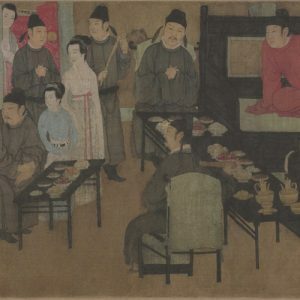 After 40, Shen Zhou followed the styles of Huang Gongwang (黄公望, 1269-1354), and then Wu Zhen (吴镇, 1280-1354). 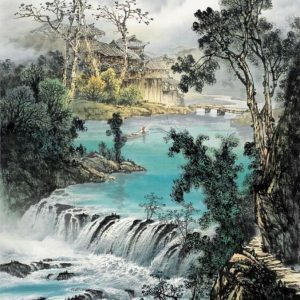 However, this transitional work also reflects Shen’s own style, which has given it an even stronger sense of straightforwardness and vigor. 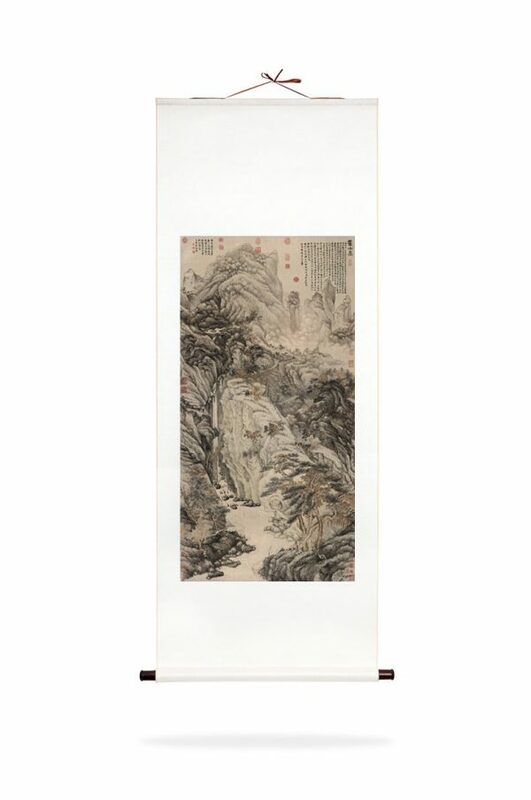 The mountains and slopes were first modeled with hemp-fiber texture strokes and tinted with light ink, to which layers of dark ink were added to build up the slopes. The mists and the coloring of the mountains are particularly luminous and well done. A waterfall plunges hundreds of feet, the torrent’s waters becoming light and gentle below. 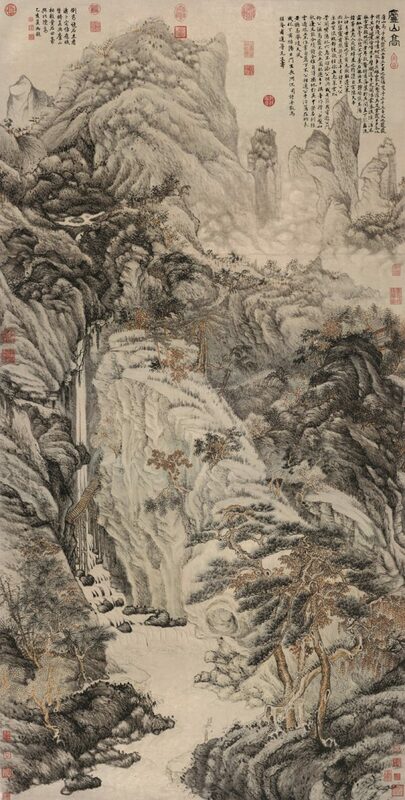 This piece was completed in honor of the 70th birthday of Chen Kuan (陳寬), Shen Zhou’s teacher, and thus has been painted very carefully to produce an especially fine effect.